This article is based on the draft I prepared for my presentation at the Kyoto workshop (slides available here), hence the rather disorganized structure and wording. I still hope it will prove useful for LocJAM newcomers and future workshop organizers. Welcome to the LocJAM! If you are new to the concept, the LocJAM is an online localization contest, free and open to all. The English text of a game is shared on locjam.org and translators have 2 weeks to translate it in one of the languages listed. There’s unfortunately no LocJAM contest for translators working into English yet, although we might have something down the road. Until then, remember that helping other translators is one of the many ways you can enjoy the whole event. No pre-registration is required. All you need to do is to submit your work through the website by the deadline. You can participate alone or as a group (although a single name will be credited) and choose between two categories: Professional and Amateur. The Professional category is aimed at language professionals, not necessarily translators, but people who have knowledge and experience in the industry in general. Even if you don’t meet these criteria, feel free to apply as a Pro if you are confident you can compete in this category. The Amateur category aimed at those who don’t have a lot of experience yet, such as students, young translators transitioning from a different career, gamers who translate as a hobby or simply curious about localization, etc. After submissions, translations will be judged by reputable (= established and with reasonable payment practices) translation companies. Each of them will choose one winner per language and category. Winners will be invited to a studio tour/recording session, or receive a diploma. This prize is one of the main incentives of the LocJAM. It is a great chance to build your reputation as a translator, as your name will be displayed on the website and many localization agencies are looking at the contest results. Some previous winners have been contacted with part or full-time job offers. Of course, meeting the juror offering you the studio tour gives you a strong opportunity to build a relationship with them. But you don’t need to win to make it a valuable experience. It is very hard, especially for young translators, to gain experience, and this is what the LocJAM is all about, providing newcomers with an entry point into the localization industry. If you are confident your translation was of good quality, this is something you can show potential employers or customers. Besides these considerations, some people may participate just for fun, because they’re curious about what game localization is about. This can be gamers or people in the game industry but not necessarily translators themselves. It is also a rare chance to compare your translation with those of other translators. This is something you can learn a lot from by analyzing different styles and approaches. Finally, it is an opportunity to network and meet your pairs, both online and offline. You will be able to meet people with whom you can exchange tips and important information for your career, regardless of your level of experience. Now that we’ve introduced the LocJAM, let’s see what content is waiting for us. 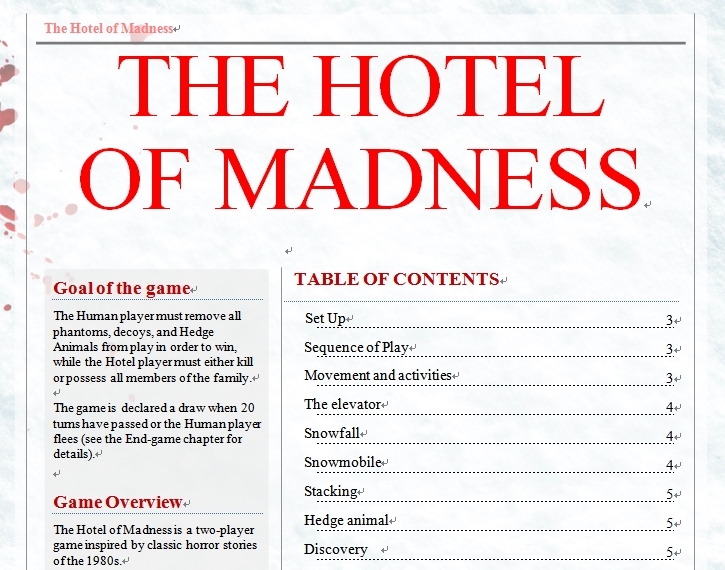 The Hotel of Madness is a board game, a first in the history of the LocJAM. The game is based on horror stories of the 80’s and has a real video game feel to it. The translation package itself comes with a set of instructions in a Word document and maps/counters in an Excel file. Before starting to work on The Hotel of Madness, it is important to have an idea of how much time we are going to need to complete the translation. The Hotel of Madness is about 3,600 words long. The pace at which you will be translating can vary depending on skills and experience. To be on the safe side, consider about 2,000 words per working day (8 hours). In general, as a professional translator, you will always want to have some room when it comes to deadlines – you never know what can happen during a project. For the needs of this contest, you will also need to test your translation in context, so that’s another thing you will need time for. Remember you can collaborate with other translators and submit a common entry, so don’t hesitate and work with a partner if you feel you might be a bit short on time. Now that we have a better idea of what to expect, let’s start the actual work. We will be following the typical game localization process here. The process can be slightly different depending on the game, and most of the time you won’t be involved in each and every step in a professional environment, but it should give you a good idea of how things work in general. Before writing a single line of text, we need to get familiar with the game and materials in question, to get an idea of the content. Based on that first approach, we will create a glossary and a style guide to ensure we have a strong foundation from which we can start translating. Then comes translation and its challenges, which we’ll cover in detail later. When our first draft is ready, we can go ahead and edit, adjust and fix what needs to be. 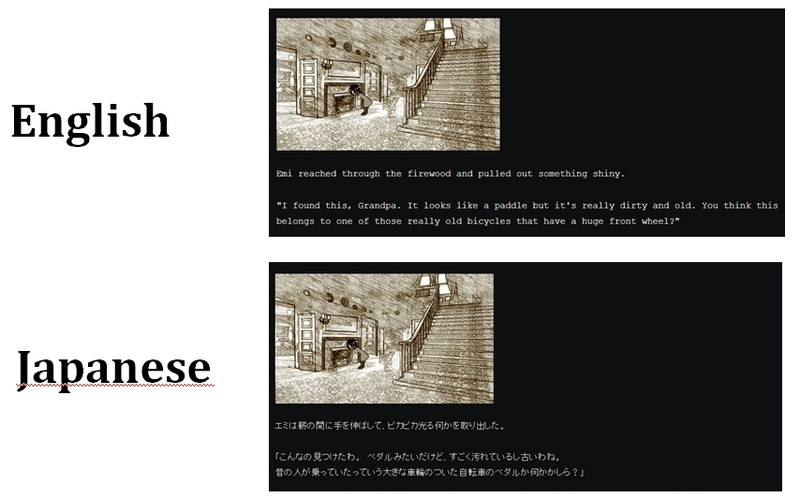 With our translation is ready, we can integrate it and test the game to ensure the localized text works in context. Finally, when we are confident there are no bugs or other issues remaining (or when time’s up! ), it is time to submit our work. First of all, download the localization package from http://www.locjam.org. Check the instructions carefully. They are not complex at all, but every year a lot of participants get disqualified because they failed to comply with some of the rules. Remember, in a professional context, you will also need to pay attention to such instructions. Read through the source files once, not necessarily everything, checking a paragraph here and there can be enough as a first approach. Try to understand how the game works, taking notes when you find something important. So what’s the game’s text telling us? The Hotel of Madness is a board game for which we need to translate instructions and cards. Clarity and consistency will be extremely important. One thing you may realize is that the game itself is strongly inspired by The Shining (the book rather than the movie, apparently), so it might be a good idea to learn more about the license if you are not familiar with it yet. There are also a number of jokes and puns in the text, for example [The game is played in turns (as opposed to being played in prison, or in a tuxedo)], so we will want to give them extra attention, as some of them won’t translate literally. Based on our findings, the next step will be to create a glossary of the most important terms. Character, item, place names, anything important and that needs to be translated consistently. The LocJAM games are fairly short, so you may create a glossary on the go, but for larger or group projects, you should really do it as early as possible. Making glossary changes when a project is almost over implies tedious changes and possible inconsistencies if some occurrences of the changed terms are missed. You can look for terms to add to your glossary manually, or use term extraction tools such as Okapi Rainbow to save some time. Such tools will return the most frequent terms of your text – there will be false positives that you will need to remove (stop word lists are readily available online and can help you a bit here), but it’s a good way to have an exhaustive glossary right from the start. For large projects, you may also want to prepare a style guide where you will be listing things such as general writing instructions, the tone of the text, the language register, sentence patterns and the like. With this preparatory work done, we are ready to start the translation. You can translate directly in Word and Excel, or use a translation software. Do save backups regularly or, even better, have your files synchronized with a cloud software such as Dropbox or Google Drive. If you are concerned by confidentiality issues, some software solutions allow you to duplicate and synchronize your drives automatically. The challenge for The Hotel of Madness will be to make the instructions as clear as possible, yet pleasant to read. Avoid ambiguity whenever possible. There is no computer to tell the players when they are breaking the rules, and a lot of back-and-forth will be required during at least the first few games. Keep the players in mind when you translate: The information should be easy to find and digest. Some translators have expressed concerned about instructions that may seem incomplete. However, they do not affect the translation itself and, for the needs of this context, you should focus on conveying what is there – rather than what isn’t. The maps and counters should also be formatted properly and be easy to read. Consider making layout and font tweaks if you feel it helps with readability. And of course, the translated text should be fluid and natural, avoid literal translations. Ideally, your version of the game should feel as if it was the original, rather than a translated product. Having said that, don’t overdo it. For example, in Japanese, trying too hard to use as many Kanji as possible may make your text harder to read, and you will be more likely to make mistakes that will make your work look unprofessional. Stick to what you feel comfortable with. Once again, the game should feel “native”, and not like a cultural caricature. For general localization best practices, I would recommend you to check the document we created at the IGDA Localization SIG. It is available in both English and Japanese and it offers a ton of useful advice, both for translators and developers. Feel free to check it out when you have a moment. Keep in mind that we need to localize these games, not just translate them. If changing fonts, spacing, paragraph structures or other elements can make your text feel more natural, go for it. Don’t hesitate and edit the layout if it makes sense to you. Translating humor and puns can be very difficult. When you come across such parts, try to think of references most people in your audience will be able to understand, even if the sentence itself becomes completely different. Consider tweaking the surrounding sentences if it helps you introduce jokes and puns more easily. Like I said before, formatting is an important part of localization. If you translate into Japanese, pay close attention to how the text looks on the cards. It may be hard to read if the font is too small, or if you make use of complex Kanji. Tweak font size or consider the use of Katakana if you feel it will make reading easier. If you translate from Japanese, make sure you don’t leave out any double-byte characters, as it is a very common mistake. There are also a couple of images with uneditable text on them. Feel free to localize them the way you’d like. You can create new images or add text boxes, just make sure the result is visually consistent with the rest. It doesn’t have to be a masterpiece, but try to make it clean. There’s no hard rule here, so do what you feel most comfortable with. The translation step may be the longest one, but there’s still a lot to do once you’ve got your first draft ready. During the editing step, we will try to polish our text and eliminate spelling, grammar, syntax and consistency mistakes. Inconsistencies are critical errors, so make sure you carefully followed your glossary during the translation. Use a text editor with spell/grammar checking features to help you spot potential issues. It may also be a good idea to print out your translation and read it on paper, as the change of media can give you a new perspective and help you find more mistakes or identify parts that feel a bit unnatural. Asking the help of a second native speaker is always a good idea, especially if they have good writing skills. The more eyes the better. You can also compare the source and target texts with a native speaker of the native language to spot mistranslations and nuances that were lost in translation. When you are given feedback, whether this is from friends or clients, remember that you are the one making the call. Overzealous reviewers are a common thing in the industry. They will try to rewrite your translation just for the sake of it or because they don’t have flexibility when it comes to writing styles. Stand for yourself. If you are confident your translation is good as it is, leave it this way. The next step will be to integrate our translated text to the game. 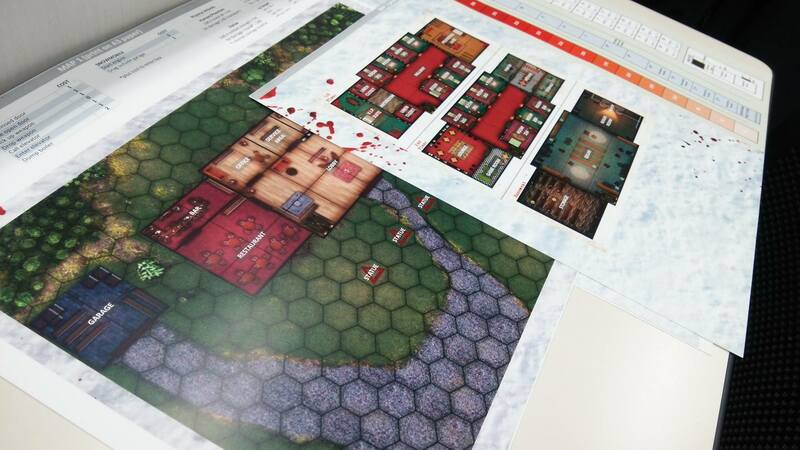 The integration will be quite easy for The Hotel of Madness, as all you need to do is to print the files out and play the game. If you were working in a CAT tool, save your target file and pay close attention the formatting and layout. As useful as they can be, most CAT tools will often mess up a file’s layout. Our translation is now ready to be tested in context. Play through the whole game and make sure everything makes sense in context. Look for integration issues (overflows, missing texts, etc.). Ensure the text is easy to read and clear, visually and in substance. Once again, there shouldn’t be any ambiguity. Just as for the editing stage, asking different people to play the game with you can help you spot more issues. Don’t just play “normally”, try everything you can think of to test the game’s limits, even (or especially?) if it sounds crazy. People like to do crazy things, keep them in mind and make your game foolproof. After you make changes, always check whether they were implemented correctly, as we want to fix bugs, not create new ones. It is what we call Regression testing. Checking the whole game for every change you make would take a huge amount of time (and wasted paper! ), so try to do it by batches. Play the game once, make a list of changes, implement them, test again, repeat until you feel you are satisfied with your work or the deadline is getting close. We can finally submit our work! Visit LocJAM.org, fill the form carefully and as per instructions, and upload your translated package with only the translated files. You will need to do it before Sunday, March 27th midnight GMT. To make the most of the experience, don’t leave things there. After the cooling down period, take a look back at the project and think about what you did right, and what mistakes you made. It will help you improve for your future projects. So, How Do I Win the LocJAM? Experience is great, but since you spent a lot of time working on this game, you probably want to win the LocJAM. There is no magic trick here, although the following few tips may put you on the right track. In any case, remember that translation quality is subjective and heavily depends on personal preferences. You don’t know who will be looking at your text, so just focus on doing what YOU believe is the best thing. Basic spelling or glossary issues can instantly get you out of the play, so be careful during the Editing and QA stages. Remember this is a localization contest, not just a translation one. Create a localized game that doesn’t feel like it was adapted from a different version. Spend extra time on parts that allow you to express your creativity – jokes, puns, narration, dialogs… show off your writing skills. In general, try to go the extra mile to make your translation stand out. A lot of very skilled people will be entering the contest, so make it easier for jurors to pick you by doing something a little different. While this sounds obvious, please do read the included instructions carefully. Check the .pdf file at least once before getting started and once before submitting your translation. Every year we have to exclude participants before anyone had a chance to see their work. If you think it’s tough of us, remember that you are also expected to follow such instructions in a professional environment, too. Finally, one of the great things with the LocJAM is the gathering of enthusiastic people who love sharing tips. That’s what we could call the “Party” side of the LocJAM, and it’s one of the many ways you can enjoy the event. If you follow our Facebook page, you will most likely come across the answer to most of your questions and find out things you wouldn’t even have suspected otherwise. Last year for example, translators did an amazing job at finding and sharing bugs, giving hints as to how to fix them. They had also noticed a number of puns/hints that were not necessarily obvious. For this reason, you may want to wait as much as possible before submitting your entry, just in case something interesting pops up. And that’s it! Now that you know everything you should about the LocJAM, the rest is up to you. Show your creative side and impress the rest of the industry!